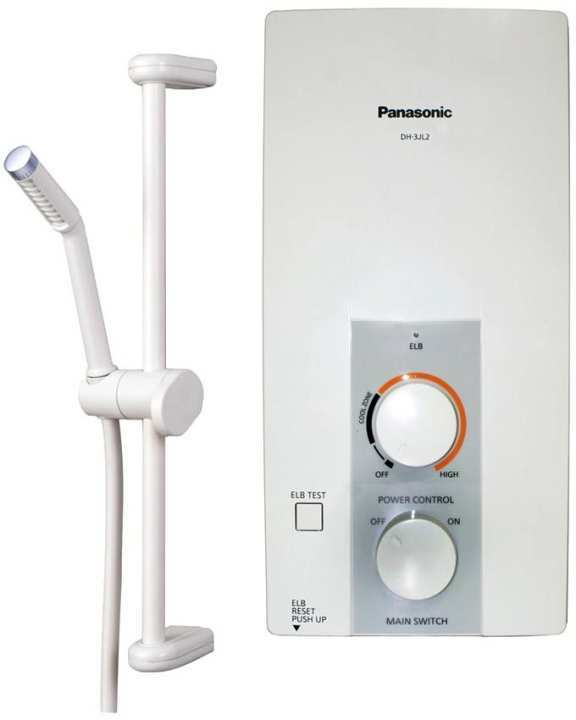 The Panasonic Heater has a big shower head with single spray. It comes with a filter mesh for easy maintenance and a built-in ELCB Thermal Cut-out Flow sensor that is splash-proof.Then this Panasonic DH-3JL2P is may be the perfect solution for you. This is very streamlined design and only 1.8kg and can be easily fit in your bath without any modifications. Panasonic 's range of standard home shower allows one to enjoy the basic comforts of a home shower that is both user-friendly and safe for the entire family. model DH-3JL2P is sleek, stylish and space-saving which makes it ideal for all bathroom types. instead of the shower provided with the product can i add a normal water pipe in the purpose of washing?